Biodegradable cosmetics were originally in demand by consumers who use cosmetics products in the wild … without a sewage treatment plant near by and who care about the environment. These include shampoos, soaps and toothpaste for campers, as well as suncreams, shower gels and soaps for sailors. Today the discussion about plastics and microplastics in local waters and oceans is increasingly shaking up consumers. What happens to the plastic residues that we channel into our wastewater through the use of cleaning and care products? How much is actually filtered out? What happens to the rest that gets into the environment? The research field around plastic residues in the waters is relatively new. However, what scientists are gradually getting out of their studies is worrying. So far, the studies have mainly examined the topic of microplastics. These are solid and insoluble synthetic polymers (plastics) of less than 5 mm in size. In cosmetics solid Microplastic is especially used as abrasive in peels and rubbing in shower gels. But there is more. Liquid plastics, which e.g. make sure the shower gels and liquid soaps retain their consistency are currently classified as non-hazardous to the environment, although little is known about their residence time and their impact on the environment. Consumers can do something about this problem by using products that are completely biodegradable. What does biodegradable actually mean? It is the ability of organic chemicals to be decomposed biologically, i.e. especially by saprobionts or their enzymes. Ideally, this chemical metabolism goes all the way to mineralization, breaking the organic compound down to inorganic matter such as carbon dioxide, oxygen, and ammonia. 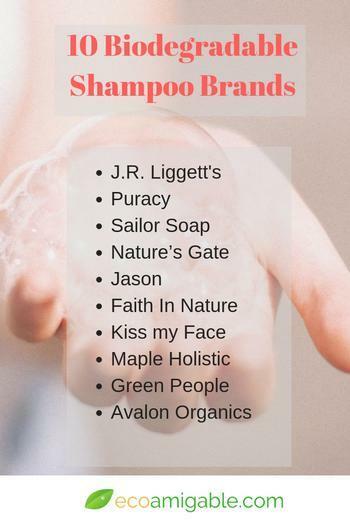 Below we have put together a list biodegradable shampoos brands for you. Products that are less harmful to the environment than conventional products from major brands. In the area of shampoos and conditioners there are already brands on the market that managed to replace polymers that wrap around the hair to make it more supple or shiny by plant-based biodegradable components. The first thing you can do to avoid chemical components that are unnecessary for the actual hair care, whose only function is to keep the shampoo liquid over time. Use solid shampoo bars! J.R. Liggett’s shampoos are all natural and contain no chemicals. The are allvegan und 100% biodegradable. Tea Tree & Hemp Oil bar. That bar has coconut oil, safflower oil, almond oil, olive oil, sunflower oil, palm oil, tea tree oil, hemp oil. For men and women, with all hair types. This biodegradable cleanser is concentrated so a little goes a long way. It can be used as both a body wash and shampoo and is also great for beards. It contains Aloe Vera as well as Australian Tea Tree oil and Eucalyptus. 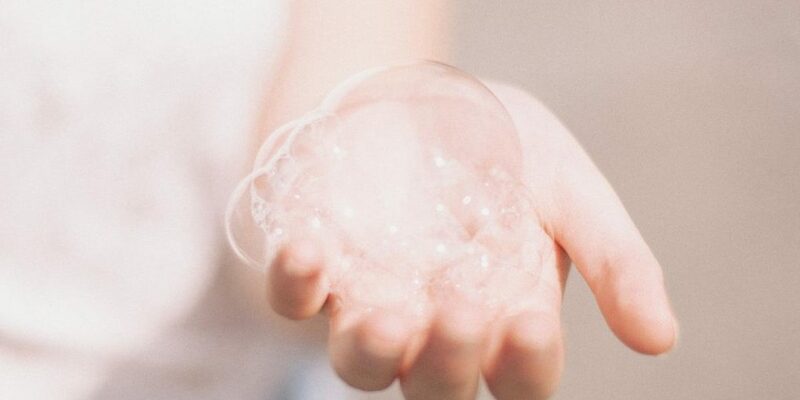 Today, there are shampoos on the market that have replaced liquid and solid polymers by plant derived components that are biodegradable and therefore better for the environment. It is up to you as a consumer to use them. How to get free Makeup Samples in the UK?